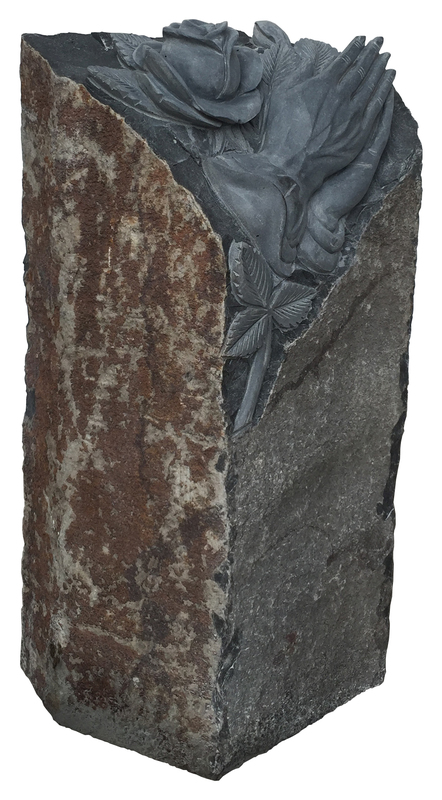 10" x 10" x 24" & 10" x 10" x 30"
The Praying Hands Cremation Garden Tower is made from natural stone (Basalt) with hand carved sides with fully carved hands in prayer. The Towers are offered with painted or unpainted carvings. The Tower is comes in two sizes: Singles are approximately 10″ diameter x 24″ tall with a 6″ x 10″ deep core hole and are designed to hold one stainless steel canister; Doubles are approximately 10″ diameter x 30″ tall with a 6″ x 20″ deep core hole and are designed to hold two stainless steel canisters. 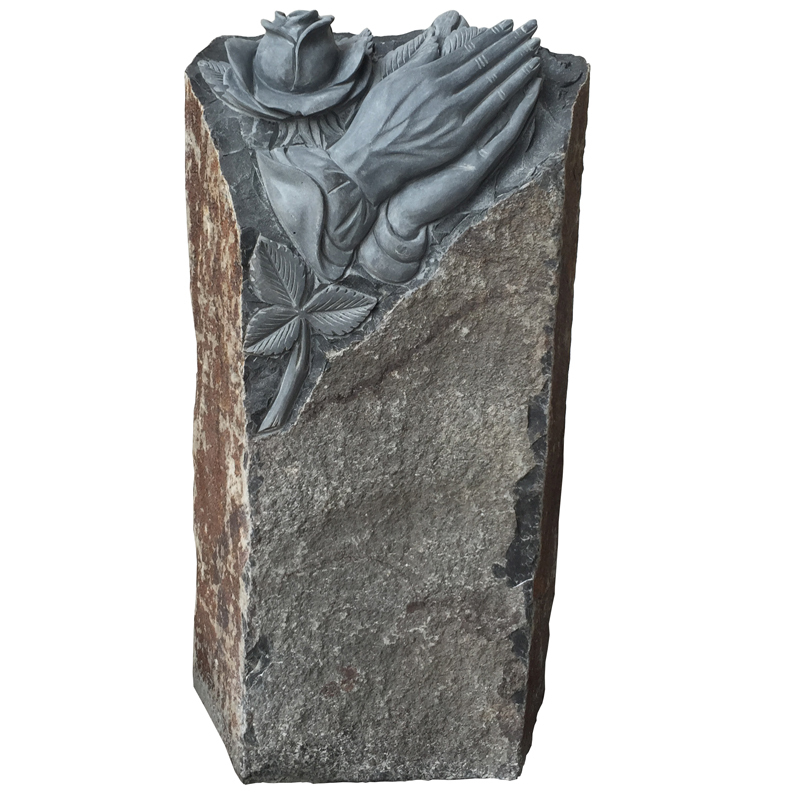 The optional matching Basalt base is approximately 20″ diameter x 3″ tall with a polished top and natural stone sides. Optional stainless steel Cremation Canisters are 5″ diameter x 7″ tall.